Cal Ripken Jr. is a player that immediately brings to mind the greatness of baseball. 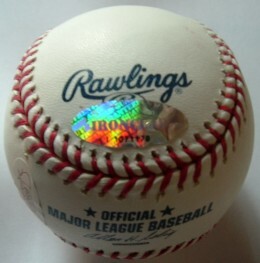 The "Iron Man" carries credibility with collectors who still long for the days of Ruth and DiMaggio. 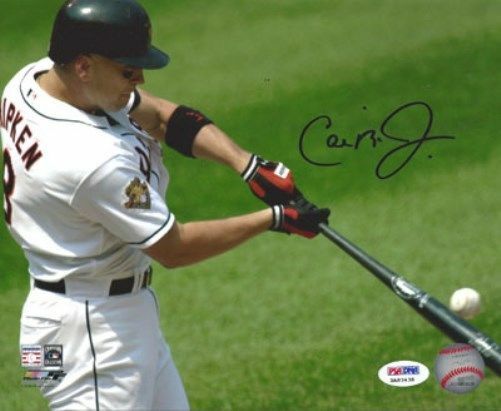 He's also young enough that younger collectors can better relate to his accomplishments, making Cal Ripken Jr. cards coveted by a big cross-section of fans. While Cal Ripken Jr. cards and memorabilia sell at strong prices, there is little likelihood for significant increases as he gets older. The last big milestone was his induction into the Hall of Fame in 2007, and values should hold steady over the long-term. 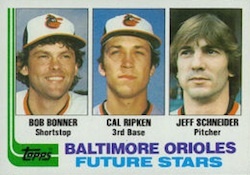 Ripken only has three true rookie cards, each of which sell for reasonable amounts. As with most older rookie cards, graded versions tend to sell the most consistently with the gem mint cards going for hundreds, if not thousands, of dollars. 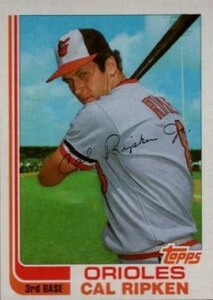 Another card from his rookie season, the 1982 Topps Traded Cal Ripken Jr. is also strongly pursued by collectors. 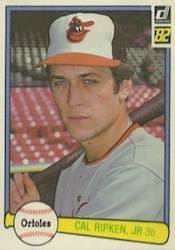 However, it is not considered a true rookie because Ripken was already featured in the main 1982 Topps Baseball set. The 1982 Donruss Cal Ripken rookie portrays a classic close-up shot of the young star. Centering issues make extremely high-grade copies of the card somewhat difficult to find. The simple design does not detract from the card's appeal. It is one of the best Cal Ripken Jr. cards. The 1982 Fleer design is even more basic. It's to the point that it is hard to distinguish as a real baseball card. Not even the brand name is present on the front. Other than the photo, the only thing on the front is a thin orange border and name plate. Of the three rookie Cal Ripken Jr. cards, this is the least desirable. Although this card has the highest book value of the three rookie Cal Ripken Jr. cards, the fact that he shares it with two other players who accomplished nothing hurts its overall appeal. Instead, many collectors have adopted Ripken's 1982 Topps Traded card as his most desirable, even if it's not a true rookie card. 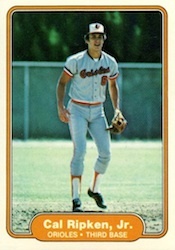 Although it's not an official rookie card, this is the most popular of the Cal Ripken Jr. cards released in 1982. Less readily available, although not rare, it's much more visually appealing seeing the legend pictured solo. 1982 Topps Baseball Set Overall NRMT-MT Cal Ripken RC "Exceptional Set"
Below you will find examples of what an authentic Cal Ripken Jr. autograph looks like. This can be used as a first point of reference for determining the legitimacy of autograph memorabilia, but is not a substitute for having your items authenticated by a well-respected professional autograph authentication company. 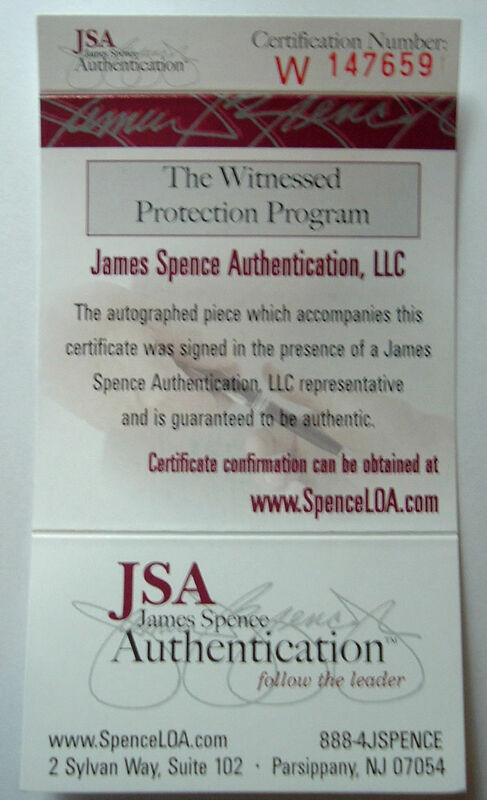 Some of the trusted sources within the sports memorabilia market include the following companies: PSA, JSA, Steiner, Tristar and Sports Card Guaranty. In addition, Cal Ripken Jr. has his own authentication company called "Ironclad Authentics". Click on any of the images below to view full size photos. Entire signature is written on a relatively level horizontal plane. The letter "C" is over-sized and surround the letter "a" on the top and bottom. The pen lifts to start the letter "a", which flows into what is obviously the letter "l" but resembles more of an "e" due to its small size. The pen lifts again to start "Ripken", which is represented by the letter "R" with an open loop, and a very small letter "i", which is even smaller than the "l" in "Cal", the letter "i" is dotted but haphazardly, often appearing over the letter "R."
Cal pays tribute in his signature to his namesake, Cal Ripken Sr., by having the largest later of the signature be a very distinct and over-sized letter "J." The letter "r" is implied and the signature is finished with a period after the letter "J." The letter "L" is very flamboyant with a big loop at the top. The remaining letters are very clear. 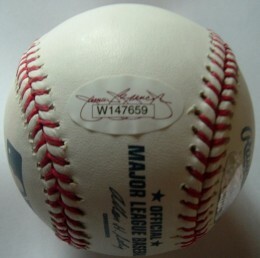 He often uses an inscription of his jersey number. 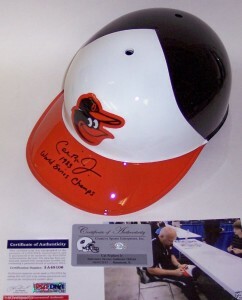 Don't miss our other guides to collecting Cal Ripken Jr.,. 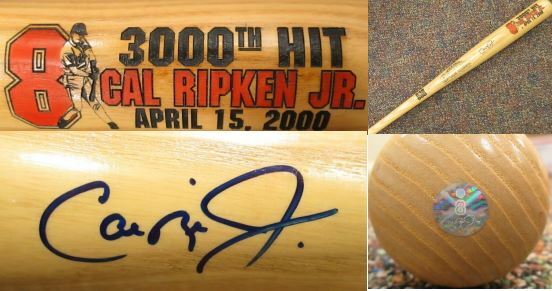 how much is cal ripken gold card worth? craig hendershot � Can you provide more info – What year? What company? I have quite a few baseball cards and I am needing to sell but don’t want to sell for to inexpensive. Any suggestions? 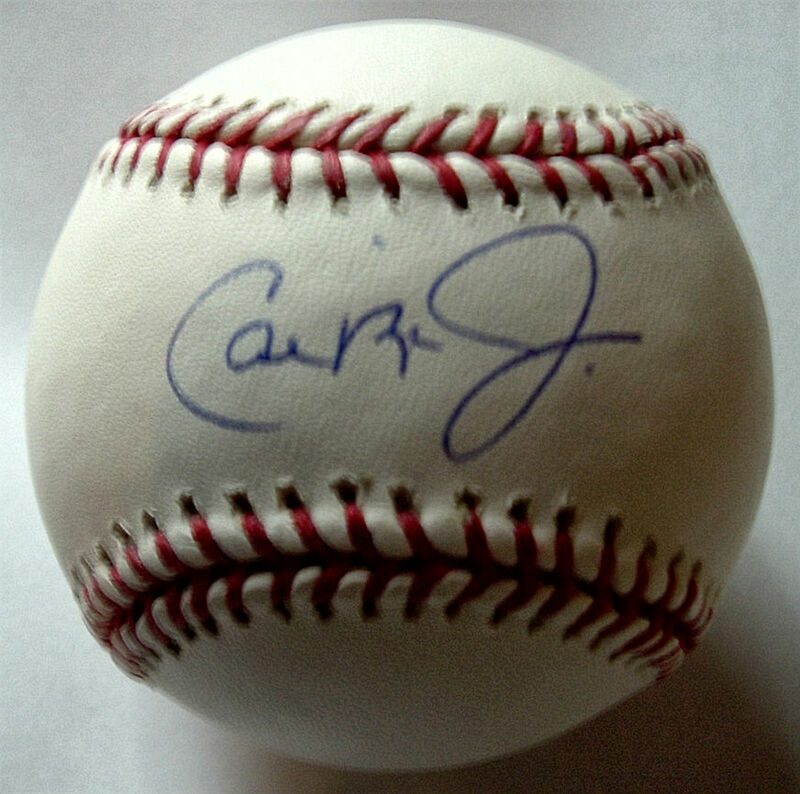 I have a Cal Ripken Jr. collection I wanted to sell. There are 220 cards in the collection. I do have multiples of some cards, but there are over 150 different cards in this collection. 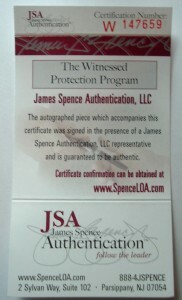 It comes with a plaque and I would say 180 of the cards are in protectors. 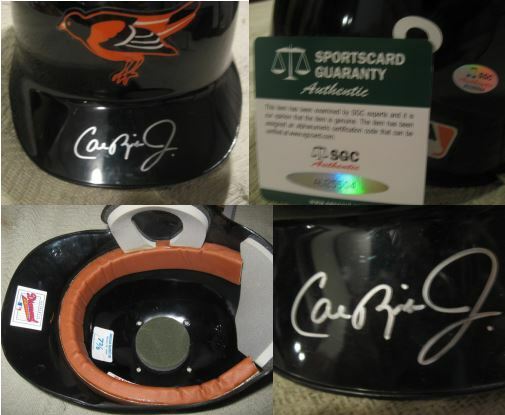 There is one card protector that is a Cal Ripken Jr protector that is orange and black with his name accross the top. Would anyone be interested in that collection? 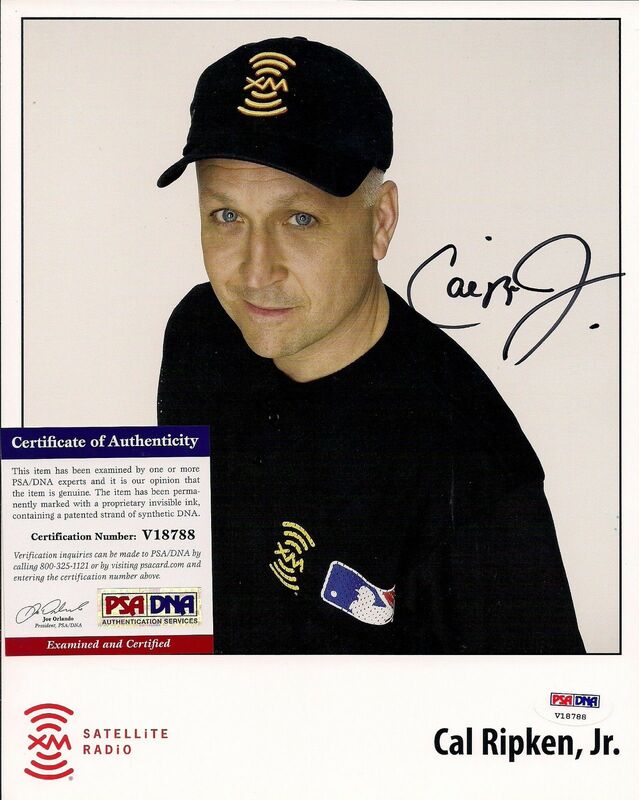 I am trying to find out how much actual photos taken by a family member of mine of Cal Ripken, Jr in which two are signed. Some are from a charity basketball game and the signed ones are outside of the old Memorial Stadium. There is another player in the car with him in one but I am unfamiliar with the player.